Some days ago I stumbled over a coffee bunny. To complement the upcoming easter season another easter-related animal has appeared in my lunch. Actually, two easter-related animals. 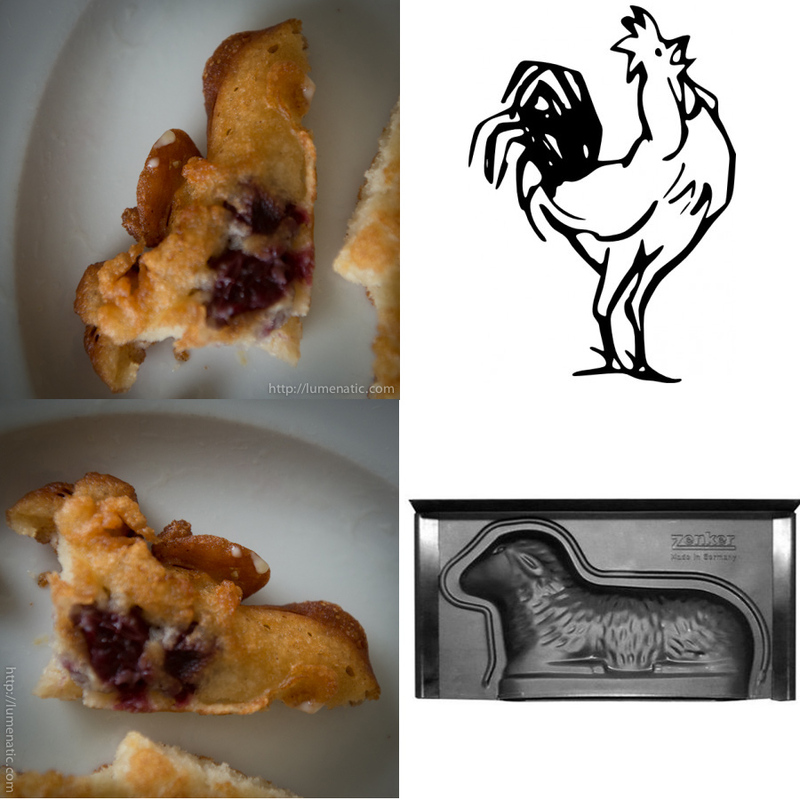 I was eating pancakes (the dark stuff are cherries in case you are wondering) and a section I cut off looks very much like a rooster which is boasting its call. My wife, sitting at a 90 deg angle to me, pointed out that it looks like an easter lamb.